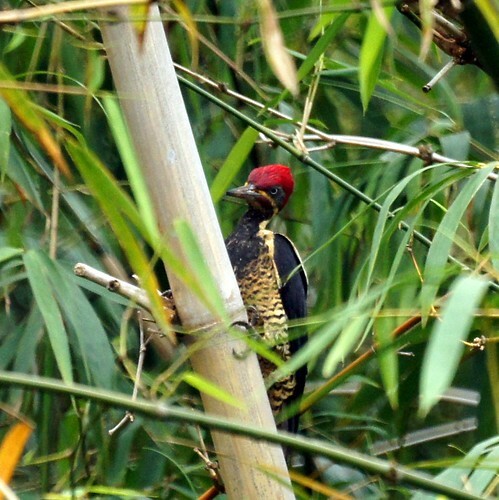 The adult Lineated Woodpecker in the bamboo we tracked ourselves. Mike heard the familiar drumming of a woodpecker while we were on the veranda at Asa Wright. We set off in search of the source and eventually found it in a bamboo cluster along the driveway. You'd think it would be easy to find with that bright red head, but it actually took us a while. 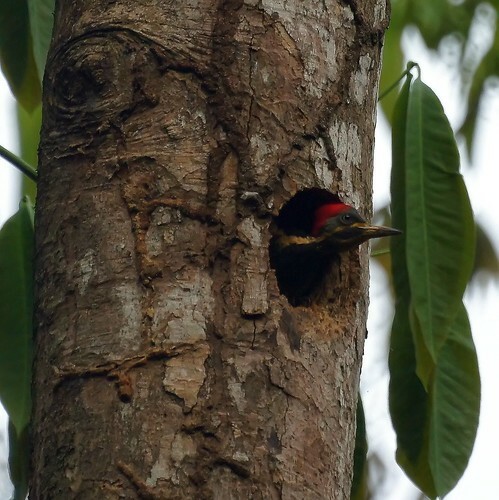 The darling juvenile sticking its head out of the nest was shown to us by our driver on our departure from Asa Wright. He pulled over to show us where he knew there was a nest, and luckily the little one was being curious enough to stick its head out just at the right time.